Have you ever been curious about what's going to happen in the future for you? Or, ever wondered why things in the past happened the way they did? Through the powers of twin crystals and the ability to access the Akashic Records I am able to act as a clear channel to bring that information to you. By repeating a different mantra for each of the 3 Rites, as well as using the power of the crystals, I am able to help you to heal Old Wounds and New Wounds. Also, able to help create Good Fortune for the future! 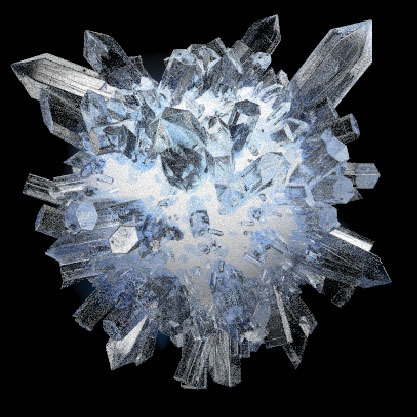 It's as simple as holding the crystals while I recite the Rites to you in repetition to allow the energy of the words to take full impact, along with the energy of the crystals. I am also able to set up a Crystal Grid in your household or workspace. It involves the use of Sacred Geometry and particular placement of crystals along with repetition of certain mantras. These 4 grids help to bring Protection, God, God/Goddess of light, and Completion/Manifestation into your homes. They are very powerful and should be thought very carefully about where they're being placed. The grid for Completion/Manifestation will help to bring about the things you want, so knowing what you want is critical. It is also best (and required for one) that the space be empty of all materials. Which works perfectly if it's as you're moving into a place. and the space being worked in. Please. contact me if you're interested.